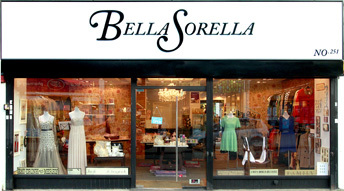 Bella Sorella my Essex based boutique was born four years ago. In five years myself and my business partner/ best friend/ sister have launched a world wide online website. Opened seven pop up shops around the UK and now manufacture some of our own products. With over three hundred products online, you are never short of choice and we really do cater for all occasions, shapes and sizes. Selling bridal gowns, prom dress, party frocks and every day casual wear. We hand pick and carefully select our brands to ensure that all our customers get creative, on trend designs at affordable prices.